Opening the cover, the contents page tells us that the book includes chapters covering the changes in the areas of public family law, adoption law, children in care, private family law, the Family Court and the Children's Commissioner. There are also seven appendices, more of which in a moment. Each chapter in the book has sections devoted to the changes brought in by the Act under that chapter heading. Most of the sections are sub-divided in to three parts: explaining why the change was suggested, what has changed and how the change will work in practice. 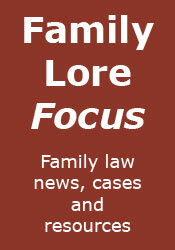 Now, as someone who runs a family law news site, I like to think that I keep up to date with changes being introduced. However, until I read this book I didn't appreciate just how much change the Act has brought with it. I suspect that the same may apply to many practitioners, especially when it comes to areas that they only deal with infrequently, or that are peripheral to their practice. This is where the format of the book comes into its own. Setting out not just each change but also its context and how it will operate in practice, all in an extremely readable style, makes it very easy for that busy family lawyer to come up to speed. "The way in which solicitors advise their clients should not, in the author's view change as a result of the introduction of the presumption. Most family lawyers will be used to explaining to clients that the current child development thinking/discourse promotes the idea of it being best for children if they can enjoy a relationship with both parents (whatever form that relationship may take) and that this has been Government policy for several years." Nice to see some common sense on that one. 1 - Relevant extracts from the Act. 4 - The PLO flowchart and the CAP flowchart. 5 - A table setting out the stages of a public law application, as per the CAP. 6 - A template proposal for permission to instruct an expert, in accordance with FPR 2010, Part 25. 7 - Further reading, which does not just list items, but also gives the web address where they may be found - extremely useful. There is not a lot that is new in the appendices, but it is useful to have all of the sources in one place, particularly as one is often checking them as one reads through the main text. I am pleased to say that my original trepidation regarding this book was entirely misplaced. Yes, the book does everything that books of this type set out to do, as mentioned in the cover blurb, but the author goes further, producing something that really is genuinely helpful to practitioners. Children and Families Act 2014 is both a book to read from cover to cover (or at least the main text) to get an overview of the Act's family justice provisions, and a textbook to consult when necessary. I highly recommend it. 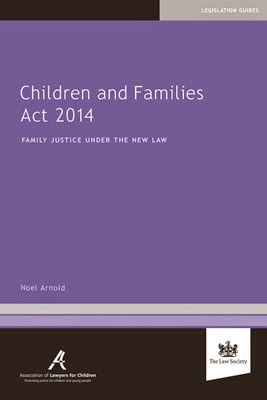 Children and Families Act 2014 can be purchased from the Law Society Bookshop, here.